Hi everyone, I just had to do this impromptu little review post for you today. I bought myself the Garnier Micellar Cleansing Water from Boots the other day, it was on special offer for just £3.33, instead of the usual £4.99, perfect time to grab a bargain! Basically I was SO impressed with it when I tried it out that evening, I just had to come and tell you about it! According to the technical info, Micelle's are like microscopic magnets that cling to dirt/makeup and can dissolve it in water. That's the basic gist anyway and so of course it makes for a perfect makeup remover. 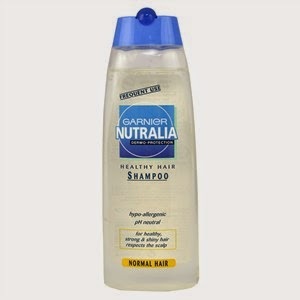 I really like Garnier products, I love their Nutralia Healthy Hair shampoo, as it very gentle, there's no scent to it (because I do hate scented products) and it doesn't have all the added extras like a lot of other shampoos, it's just a nice basic product that does the job well. 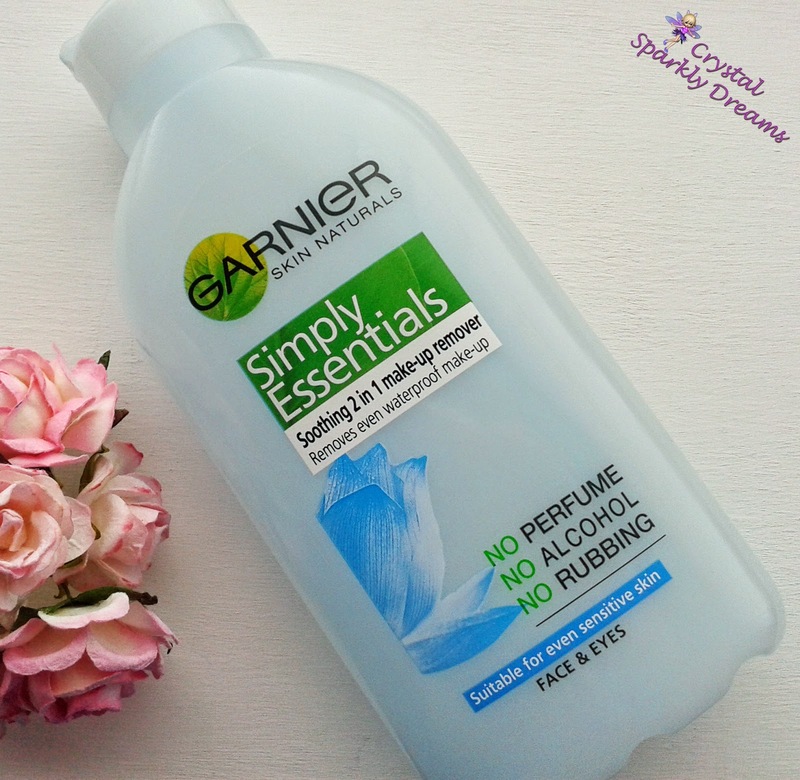 I have also often raved about the Garnier Simply Essentials Soothing 2 in 1 Makeup Remover which is really great, it even got a special mention in my Spring Favorites post, I've used it so much I recently had to go and buy myself a second bottle. And don't get me wrong, I do still love it but I just have to admit, my old faithful 2 in 1 is going in the back of the cupboard because there's a newbie on the block! I tried the Micellar water first just by adding a small amount on a cotton pad and just gently wiped my eyelid. I didn't even think that would be enough to shift anything but I was totally amazed with the amount that came away! So then came the real challenge, my waterproof mascara. 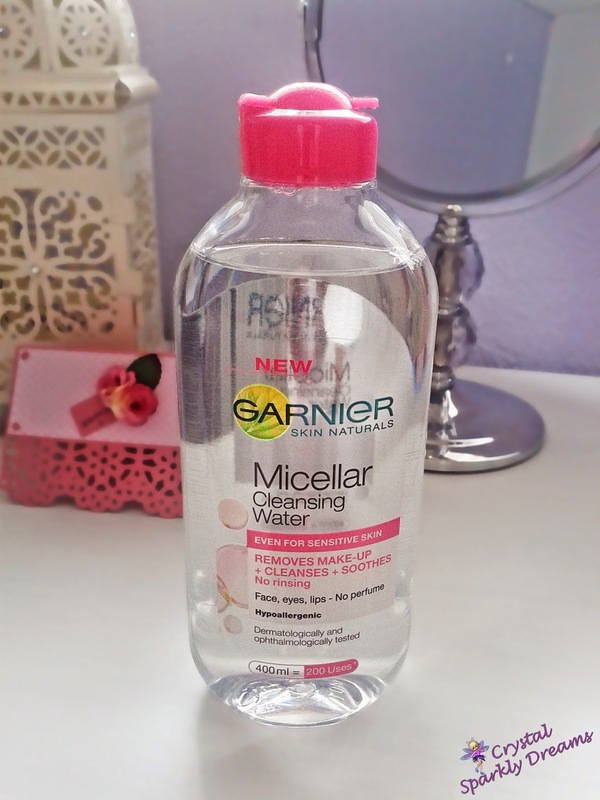 . . Wow, I can honestly say this Micellar water did a better, quicker and more thorough job getting it off than any other makeup remover I have ever tried, including the 2 in 1 which is partially oil based and made for removing waterproof makeup! Even with that I sometimes have to rub quite a bit to remove it all but with the Micellar water, it was just so easy. I also love the fact that there really is no scent to it, no smell at all. Most products that claim to be non-scented always still have a scent of some kind, even a chemical-type smell but this had nothing, so it made it a lot more pleasant to use too. I didn't even find that I had to use very much of it, so the generous 400ml is going to last me a very long time!! Thank you :-) You really should, I'm still quite amazed by how good it is and I think it's actually improved my skin so far too!